Why does iron spin matter? Spin rate by itself is not that important. There's an optimal spin rate for different launch angles, trajectories, etc. Peak height and descent angle have a lot to do with holding greens. A lot of people get fixated on just the one number for whatever reason. You see it all the time on those YouTube reviews and they're always surprised that the club holds a green just fine. I'm sure it works for you. All I was saying was, you're limiting your options by choice. Whether or not you would have exercised them had the opportunity arisen and you had the clubs in your bag is an entirely different story. That's why I signed up for a program at athleanx.com. The workout structure is there but I'm doing slightly different exercises every week, so it's never boring. Plus, having a schedule to adhere to and the fact that I paid for it helps keep me committed. This is how I feel. I'd love to stick a 64° wedge in the bag for those occasions it might be useful, but I don't have the room for it. It's a great story, but how does it relate to playing your best golf? It's not like you don't have 14 clubs to fill a bag with, you're choosing not to. By your OP, I get the impression that you're just using your 56° around the greens and feeling your way around them, which you're probably pretty good at given your index, but you're still limiting your options by simply not carrying a 60°. Or on the other end of the bag, you won't have a 3w to hit when the opportunity for one arises. View this round on GAME GOLF Played 9 holes after work. It was windy but the greens were firm and rolling nicely. Course was in pretty good shape. Hit the ball solidly for the most part, but a lot of shots started left of my intended line. Starting to heel the ball a bit and it closes the face on me, I'm assuming. Hit a tree on 4 and lost the ball which is a shame because that drive was crushed, I just don't hit the ball high enough to carry the trees on the line I took. Kind of made up for it with a ridiculously good punch hook 7i later on the hole (I don't know why I do those so well). Short game was pretty good, not perfect, but pleased with the results. Putt very well today. Made a bunch of mid-range putts. And made room for a chipper! C'mon I know you're thinking it 😜 Depends on the player and how you're defining the benefit. A lot of high handicap players hit some of their clubs basically the same distance, say their 5i and 6i, so carrying both is a bit redundant. Having less clubs makes the bag lighter and easier to walk with. Do I think carrying 14 clubs is holding someone back from being a better player? Absolutely not. I disagree with this. At some point the player just needs to learn to hit these shots and that happens from actually hitting them. I stopped hitting my 3w off the deck because I sucked at it. @iacas made me hit it, and one of the things we figured out was my ball position was too far back. You can't figure out what you're doing wrong if you avoid it completely. Cool. Glad you came around on your ugly putter 😜 My experience with my Edel felt less like a honeymoon and more like settling into an arranged marriage. The first few rounds with mine weren't exactly transformative like yours and it took some time to get adjusted to it. I had to unlearn compensations I made with my old putter. It's all good, now. Swings with no ball aren't really your real swing. Make a swing thread with videos of you hitting a ball. For now I'll just say swing more right, feel like you send the clubhead towards first base. I keep them on when I wear them. I know where the ball is. I hit bad shots without them just as easily as I do with them. What does putting have to do with LD? This. A lot of putter "fittings" are pretty basic: length, loft, lie. It's important to have a putter fit for aim, distance control, proper weight, etc. Those strokes aren't weighted the same. The 14 times you hit driver are much more important than the 30-40 putts, especially when you consider a third of those are tap-ins. That makes sense. You're used to hitting x distance by bringing the club back to y, then accelerating to z. 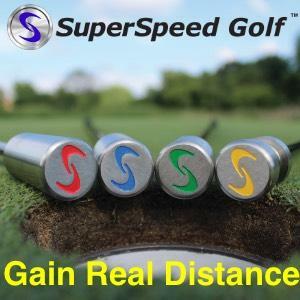 When you change the way you accelerate your putter you're going to have to "relearn" your distances a bit. But in the long run, the pendulum swing is going to be more consistent than a short, poppy swing. I went through something similar after I got my Edel putter. Different loft, so the ball came off the head a different way and I had to relearn my distances a bit. I've gotten better with it now and I'm working on a stroke change that should make me even more consistent. Take some videos of you pitching and chipping and post them in your swing thread. Maybe you think you're doing the technique right and you're not. Again, I went through something like that. Thought I was doing things right because I could hit soft pitches, but the bladed shots suggested otherwise. In reality I relied heavily on timing to hit good shots. Glaring weakness is a thing. You hit 14 nGIR and shot "well over 90." Practiced today, too dark for video. Was hitting the ball pretty well, so I decided to dust off the Mevo. Of course as soon as I did that I started to hit a bunch of shots off the toe I threw out three shots. A couple really far off the toe and one thinned. PGA Tour average smash factor for a 6i is 1.38 and I'm averaging 1.3, so still plenty of work to be done. Pretty pleased, overall. Path too far out. You transition a little steep and then shallow out late which sends your path too far right. You're kind of making the same swing as in your OP. Did you work on the wall drill? You should post video of you doing that. It wouldn't hurt to take a short game lesson if you feel you need it. There's stuff in the TST Instructional Content thread. Short game (around the greens anyway): Putting: You can also post videos of your short game and putting on your swing thread. Yea you have to slow it down for practice, but when you're playing, you gotta swing. Looks good, Steve. Much better than it used to. It's unlikely. Your problems sound like they're swing issues. A properly fit set of clubs will optimize your launch conditions and dispersion, but they don't fix swing issues. Watched part of game 6 of the Bruins/Leafs series and I remembered why I don't watch playoff hockey unless my team is in it. The officiating is atrocious (second season "rules" are dumb). Yea resistance bands are good. I like them better than medicine balls for the eccentric part of an exercise. I don't do any golf specific exercises. If you train for strength and athletic movements you'll see benefits in your golf swing, but the purpose of working out shouldn't be solely for improving your golf game, IMO. You'll get more results spending that time working on your skills instead if that's what you're after, @nevets88. Practiced today, one session in the morning and once more after lunch. In the morning I mostly focused on the sit piece, in the afternoon I tried to add in the shaft shallowing piece to mixed results. Did manage to get a decent shot towards the end of the session, though. Gotta remember to swing out. Not really. It depends on your strength level and what you're planning on doing with it. I have a 6lb and 8lb medicine ball. Quickly outgrew the 6lb once I started working out again, and even the 8lb is too light for some exercises which I end up using dumbbells for. You can still do stuff with lighter ones as long as you focus on keeping the intensity level high, concentrate on the muscles you're targeting. You just end up taking more reps to failure. It's about how you move the weight rather than how heavy it is.